America has stood idly by as China has built airstrips and military bases out of a series of rocky atolls in the Spratley Archipelago, preparing to flex its military muscle in the Pacific. China's increasingly aggressive behavior was on display last fall when a Chinese Navy ship nearly rammed the USS Decatur while it was carrying out a "freedom of operation" mission. The days of absolute military dominance in the South China Sea have ended, Inhofe said. But strangely, many Americans don't seem to understand the magnitude of this shift - or its implications. With its One Belt, One Road initiative, debt diplomacy and other efforts, China has managed to pull some of the US's traditional allies away from its orbit, and closer to Beijing. 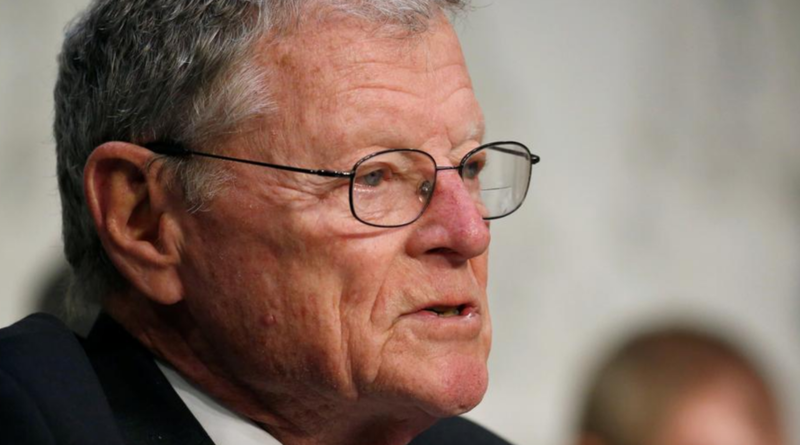 “It’s like you’re preparing for World War III,” Inhofe said. "You’re talking to our allies over there and you wonder whose side they’re going to be on." "I’m concerned our message is not getting across," said Inhofe, who took over the committee this month. A military analyst quoted by the Military Times reinforced Inhofe's warning, saying that Americans should be prepared for long-term competition with China. "I think it’s a harbinger of what a China-led order would look like…in terms of protecting and defending non-democratic regimes and impeding the ability of the international community to galvanize and respond," said Ratner, a former deputy national security advisor to Vice President Joe Biden. Unsurprisingly, China wasn't thrilled with Inhofe's assessment; the editor of the English-language Global Times, a Communist Party mouthpiece, accused the senator of having "mental problems." Beijing, which has repeatedly pushed back against the US's aggressive rhetoric by dismissing its warnings, will be just thrilled to hear from Inhofe, particularly on the day that the "high-level" trade talks between the two countries began.